Our Electronic Design Services encompass the full range of hardware and product design. 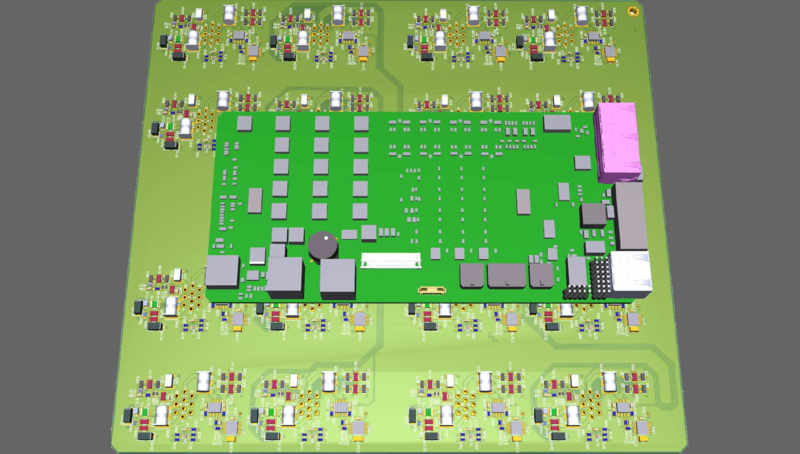 We currently use Altium Designer for all PCB Layout & Schematic Capture and the manufacturer native tools for any FPGA design such as Altera or Xilinx. If you need any piece of the design cycle done from Concept Design, BOM Selection & Library Creation, Schematic Capture & Circuit Design, PCB Layout, or FPGA Design & Embedded Software, to all Electronic Design steps, we are the best choice to get the job done right and within your timeline. We have worked on both simple and complex projects. We have worked on many complex hardware designs that required dense component placement and tight mechanical constraints. Many of these designs also needed FPGA design for implementing custom interfaces and algorithms. 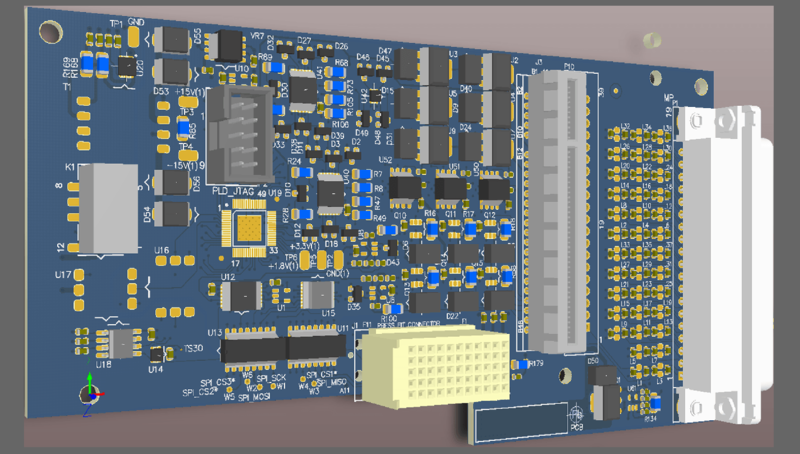 Many of our customers designs require multiple boards to implement all design features. A lot of these designs have been used in Military applications and required complex isolation between external interfaces. We have worked on designs that required many channels to be implemented identically. 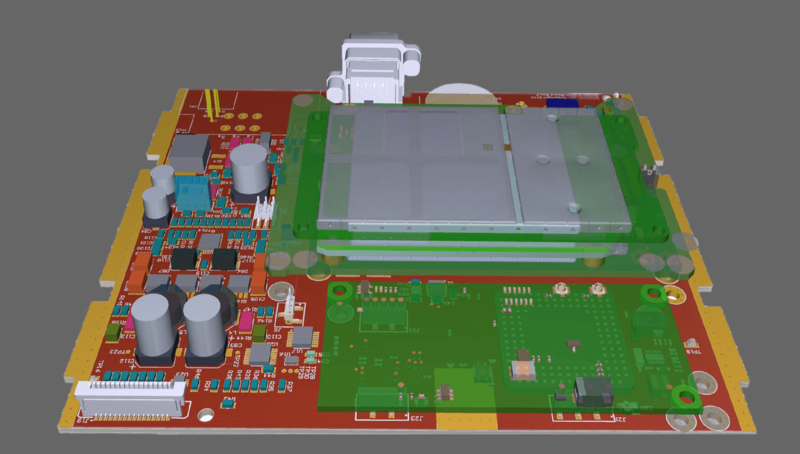 We use the multi-channel design tools in Altium Designer to accomplish this task quickly and accurately. We have also done many designs that had RF circuits that needed attention to detail in all aspects of the placement and routing. Some of these designs also used off the shelf radio modules for quicker time to market. 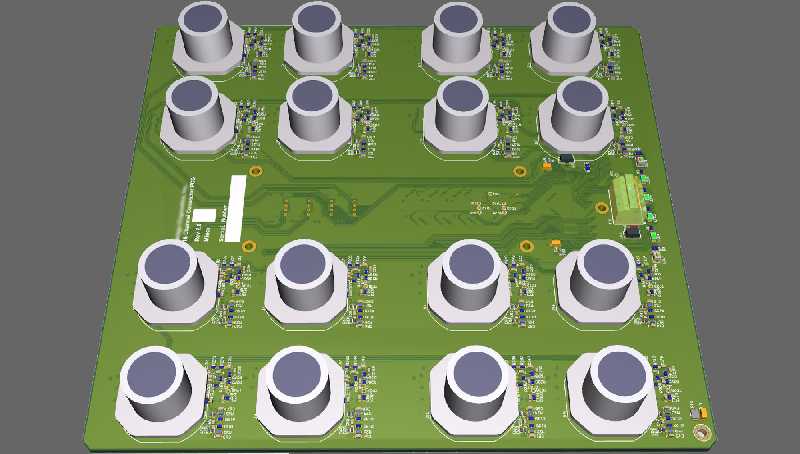 Our PCB Layout Services encompass a wide range of technologies. 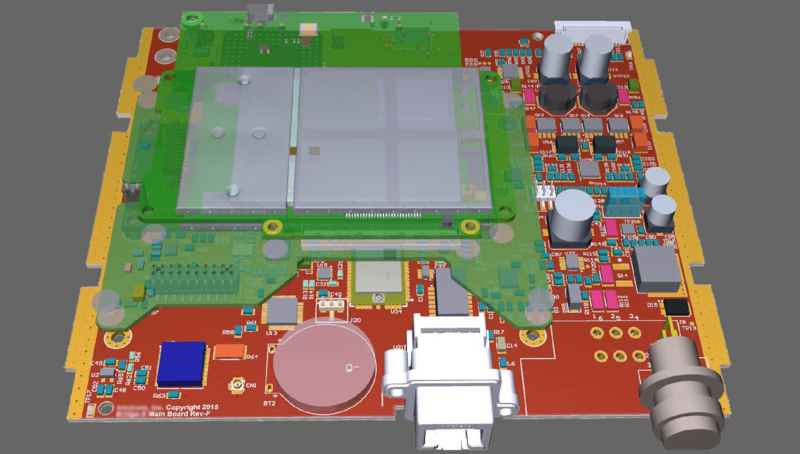 We have worked on PCB designs that had very high speed digital (10G+) to precision analog circuits that required just as much attention to detail. We currently use Altium Designer for all PCB design and layout. We have worked on many electronic designs that had more than 2000+ parts and have done projects that required many complex boards working together in a large system. Hytek Electronic Design is on the leading edge of advanced FPGA Design and FPGA Development. Our projects range from simple glue logic to extensive FPGA & System on a Chip (SoC) designs that include soft core processors, DSP functions, IP core integrations, & high speed serial interfaces. Our team understands the requirements to make a design with high fabric speeds and high device utilization work efficiently. 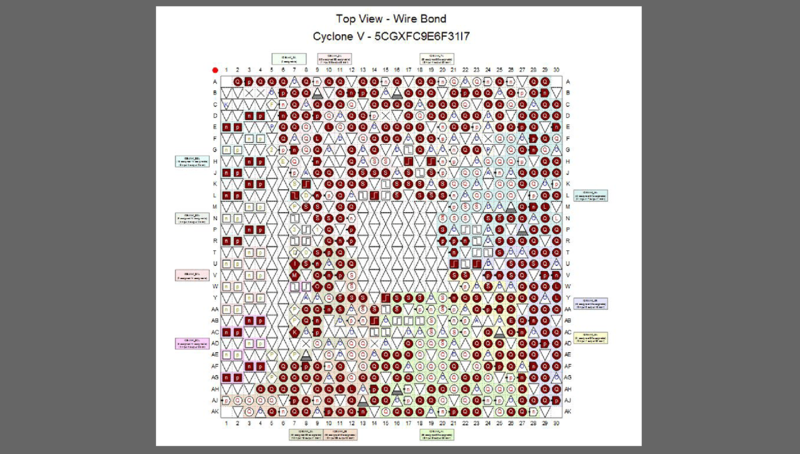 We can work on your DSP designs for Software Defined Radio, Vision Systems, Data Acquisition, Audio Processing, etc. We are accustomed to implementing DSP Algorithms, Digital Filtering and Signal Conditioning blocks such as FIR, IIR, NCO, & Viterbi among others. Our Schematic Capture Services entail a wide range of technologies from precision analog to high speed digital circuit designs. 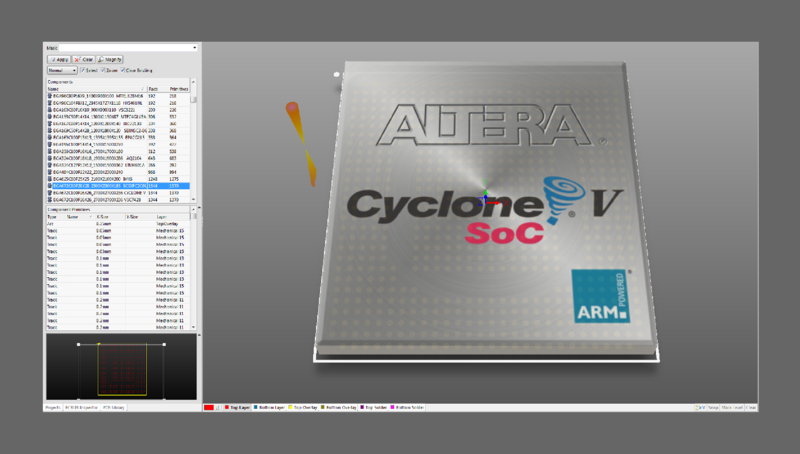 We currently use Altium Designer for all Schematic Capture & Electronic Design. 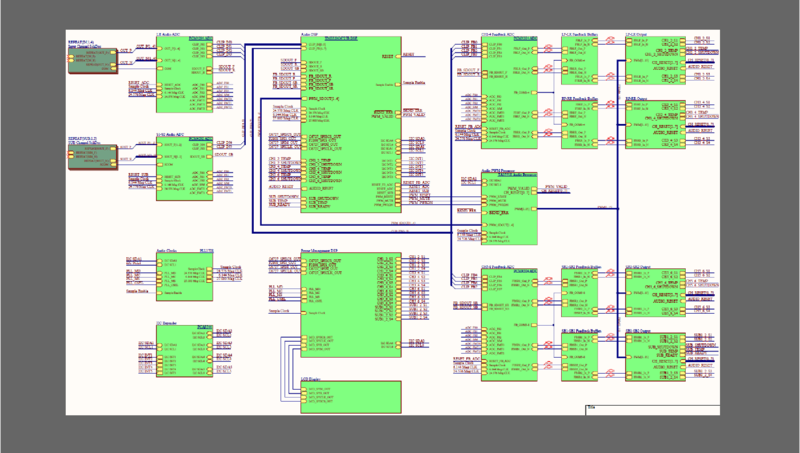 Whether your schematic is simple or complex, we can get it done quickly and accurately. All of our circuit designs go through multiple error checks and reviews to insure your design intent is captured without error. Our Library Development Services span simple to complex parts. We currently use Altium Designer for all PCB Footprints and Schematic Symbols. We have created numerous Connectors, FPGAs, Power Supplies, and Passive parts. We can research and pick the best parts for your electronic designs that will work as required and be cost effective. GigE Vision, NTSC, RBG, DVI, CCD, VGA, etc. We will provide all manufacturing files required to have your PCB built at any facility. We will provide the following files for automated parts placement. We will provide the following files for mechanical verification of the PCB.